avocado toast | Is there any wine left? Introducing: my favorite snack ever. Also, an amazing breakfast. So go ahead and have a second slice. Its a joke how easy this is to put together. And once you’ve had it once, you’ll find yourself reaching for it again and again. I just have two tips: use a really good, seedy bread (like Whole Foods Seeduction Bread) and toast it until the outside is crunchy, stopping right before it is dark brown. You’ll want the bread to be able to hold up to the soft avocado. My third tip would be to keep ripe avocados around your house, but I assume you are all already doing that. Right??? optional: olive oil, poached egg, lime, tomatoes, goat cheese, etc. 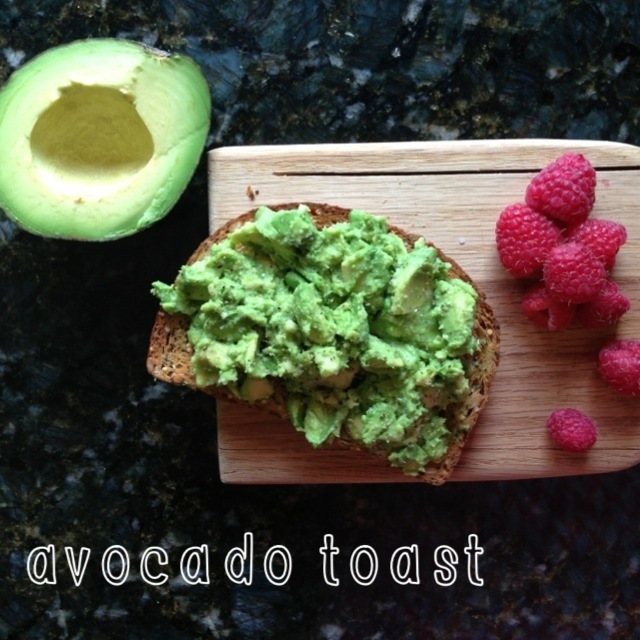 In a small bowl, use a fork to mash 1/2 avocado for every piece of toast you want to make. Toast the bread until it is crispy, but not too dark. Spread the mashed avocado over the toast and sprinkle with salt and pepper. You could top it with a poached egg or sliced tomato or a spritz of lime or a smear of goat cheese or a drizzle of olive oil. Really, the possibilities are endless.